Dr Greig is a legendary figure in the field of HPB Surgery. He completed his training at the University of Toronto where he was appointed as Assistant Professor in 1984 and subsequently rose through the ranks to become Professor of Surgery and Director of Gastrointestinal Transplantation as well as Program Director of the Abdominal Organ Transplant Fellowships. In these roles, Dr Greig established himself as one of the world’s most outstanding HPB and liver transplant surgeons. Dr Greig has had major leadership roles in the AHPBA and IHPBA, especially focused on the surgical training in the field. In addition he had a major role in living donor liver transplant, arguably helping to develop the preeminent program in North America. He is also a highly published surgical investigator with over 200 peer-reviewed publications. Over the years, Dr Greig has mentored an entire generation of HPB surgeons, most of whom hold positions of high rank at distinguished universities globally. Dr Greig is renowned for his dedication to the education and training of students, residents and fellows as demonstrated by the multiple awards bestowed to him. IHPBA is delighted to add to Dr Greig’s long list of accolades by awarding him the IHPBA Distinguished Service Medal 2019 for his outstanding contribution to the HPB field. Dr Mercado is the doyen of the biliary tract, and has forged a tremendous reputation and acclaim for his heralded contribution to HPB surgery. 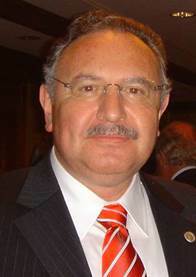 Dr Mercado completed his residence in General Surgery and fellowship in hepato-pancreato-biliary at the National Institute of Nutrition Salvador Zubirán (INNSZ) and the National Autonomous University of Mexico (UNAM), then from 1987 to 1989 continued his training in hepatic surgery at Heinz Kalk Hospital and the School of Medicine (Medizinische Hochschule) in Hannover, Germany. On his return to Mexico, he became part of the staff at the INNSZ, as Surgeon, Researcher and Vice Chairman of Critical Care Medicine, and from 2007 to date he is the Chairman of Surgery. Dr Mercado has published 188 articles and 169 chapters in books, with special interest in hepatic surgery. He has written 6 books on this subject and has been cited more than 1,530 times in other articles. He is a member of the National Academy of Medicine, Mexican Academy of Surgery, and Level Ill National Investigator. He has been appointed honorary member of the American Surgical Association and the European Surgical Association. He is a member of numerous societies and organizations, and has been President of the Mexican Gastroenterology Association, Mexican Experimental Surgery Association, and Medical Association of INNSZ. Dr Mercado is Professor of the Surgical Specialization Program and Hepato-Pancreato-Biliary fellowship, both acknowledged by UNAM. In 2016 he received the National Award for Clinical Research “Miguel Otero” from the President of Mexico. Dr Mercado is the world’s preeminent authority on bile duct injury and a pioneer in his field who is truly respected by all his peers. IHPBA is honoured to award Dr Mercado the IHPBA Distinguished Service Medal 2019 for his extraordinary service to HPB surgery. Both awards were presented at the AHPBA Annual Meeting in Miami on 23 March 2019. The 2018 IHPBA Distinguished Service Medal will be awarded to Professor O James Garden CBE BSc MB ChB MD FRCSEd FRCPEd FRSE, FRCSCan(hon), FRACS(hon) FACS(hon) FRCS(hon) FCSHK(hon) FRCSI(hon). Professor Garden is Regius Professor of Clinical Surgery, Director of Edinburgh Surgery Online, Dean International and past Head of the School of Clinical Sciences and Community Health at the University of Edinburgh. He trained in Glasgow, Edinburgh and Paris in hepatobiliary, pancreatic and liver transplantation surgery. He is considered one of the preeminent specialists in HPB and transplantation surgery and led the establishment of the Scottish Liver Transplantation Unit and performed the first successful liver transplant in Scotland in 1992. James Garden has had a long association with the IHPBA. He organized a very successful World Congress in Edinburgh in 2006 and was IHPBA President from 2012 – 2014. His dedication to IHPBA has been demonstrated in numerous ways but one significant responsibility for which his contribution will be remembered is his extremely successful ten year tenure as Editor-in-Chief of HPB. During this period, he has taken HPB from being a journal that many researchers in the field never considered as an option for publication, to one of the higher impact factor journals publishing in the field. His hugely professional approach and innovative thinking ensured that the journal is recognised as an important platform for excellent research in HPB surgery. He encouraged submissions after regional and international congresses, and this together with profit sharing that recognised the contribution of each region, ensured a greater number of submissions and therefore that better research was submitted for publication. In 2007, Professor Garden led the development of an innovative series of surgical online learning programmes at the University of Edinburgh with the Royal College of Surgeons, Edinburgh, securing the Queen’s Anniversary Prize for Higher and Further Education in 2013. The programmes recruited over 300 trainees in 2017 and currently provide academic training for some 500 trainees in over 60 countries. 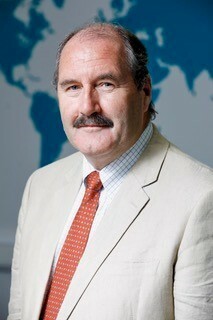 He is Honorary Secretary and Vice-President of the James IV Association of Surgeons and Chairman of the BJS Society Ltd. He holds honorary membership of a number of surgical organisations including the American Surgical Association. He has honorary fellowships of the Colleges of Surgeons in Australasia, Canada, Hong Kong, America, England and Ireland. He is Surgeon to the Queen in Scotland, is a Fellow of the Royal Society of Edinburgh and was made Commander of the British Empire in 2014. The 2017 IHPBA Distinguished Service Medal is awarded to Professor Wan Yee Joseph Lau. Professor Lau is currently Choh-Ming Li Research Professor of Surgery, Faculty of Medicine and Master of Lee Woo Sing College of The Chinese University of Hong Kong, Honorary Consultant in Hepato-pancreato-biliary Surgery in hospitals under the New Territories East Cluster, and Honorary Consultant Surgeon to the United Christian Hospital. Professor Lau graduated from the Faculty of Medicine, University of Hong Kong in 1972. During his training in Hong Kong, he spent one year from 1979 to 1980 undertaking overseas training in surgery in the United Kingdom. He became a consultant surgeon in 1988 and joined the Chinese University as Senior Lecturer in 1989. Professor Lau was promoted to Reader in Surgery in 1992, Professor of Surgery in 1993 and appointed as Chairman of Department of Surgery from August 1996 - March 2001. 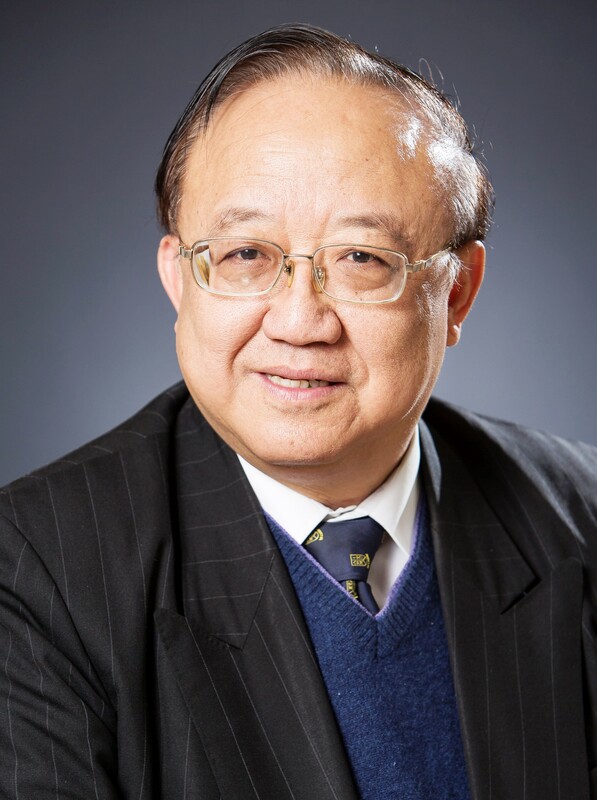 Professor Lau is active in both the international and local surgical fields and holds many key positions in government and professional organisations. He is an editorial board member of 23 national and 10 international journals, reviewer of 28 international journals, and fellow/full member of 18 international and 11 local surgical associations and societies. Professor Lau has published over 500 peer-reviewed papers in international journals, 79 papers in Chinese journals, 105 books/chapters, 3 papers in monographs, and 54 reviews/editorials/letters to editor. He has been invited to deliver lectures to national/international societies and medical colleges worldwide. Professor Lau was President of the International Hepato-Pancreato-Biliary Association from 2002 to 2004. He was elected as an academician of the Chinese Academy of Sciences, and was awarded an Honorary FRACS in 2003. He was President of the Asian-Pacific Hepato-Pancreato-Biliary Association from 2009 to 2011, and was awarded an Honorary FCSHK in 2011. Professor Lau became Chairman of the Medical Council of Hong Kong in 2012 and his term continues until 2018. He was awarded the Wu Jie-Ping Medical Prize in 2012 and the Silver Bauhinia Star in 2013. Professor Lau has won many scholarships and awards throughout his years of dedication to HPB surgery. He is honorary / visiting professor to 18 universities/hospitals in China and 13 universities/hospitals worldwide including Sweden, South Africa, Singapore, Philippines, India, Australia, U.S.A., Denmark and the United Kingdom. Other honours include the T.Y. Lin Foundation Lecturer in 1997 and 2002, Dr H.S. Sachdeva Memorial Lecturer by the Chandigarh Postgraduate Medical School in 1999, Foundation Lecturer in General Surgery in 2000 and Foundation Lecturer in Liver Surgery in 2008 by the Royal Australasian College of Surgeons, Dr Joseph H. and Mrs Helene Pollack Lecture by the Washington University School of Medicine in 2003, 1st Ricardo Alfonso Memorial Lecturer by FEU-NRMF Medical Center in Philippines in 2004, Pearce Gould Visiting Professor by the University College London in 2004, Evarts Ambrose Graham Medal from the Washington University School of Medicine, Endoscopic Award from China in 2004, Gold Medal by the Chinese Chapter of the International Hepato-Pancreato-Biliary Association in 2006, Overseas Gold Medal of the Royal College of Surgeons of Edinburgh in 2006, Professor A.K. Sharma Oration by the Society of Surgeons of Nepal in 2008, Certificate of Outstanding Service by the Royal Australasian College of Surgeons in 2008, Living Legend Oration by the International Hepato-Pancreato-Biliary Association in 2010, Henry Fok Memorial Lecturer by the World Association of Endoscopy in 2010, Gordon Gordon-Taylor Memorial Lecturer by the Royal Australasian College of Surgeons in 2012 and the College Medal by the Royal College of Surgeons of Edinburgh in 2012. Professor Lau has made an exceptional worldwide contribution to HPB surgery throughout his dedicated career, and IHPBA is delighted to award him the 2017 IHPBA Distinguished Service Medal, augmenting his outstanding list of achievements. The award was presented during the 6th Biennial Congress of the Asian-Pacific Hepato-Pancreato-Biliary Association and 29th meeting of the Japanese Society of Hepato-Biliary-Pancreatic Surgery in Yokohama, Japan. C. Wright Pinson, MBA, MD graduated with distinction in Physics from University of Colorado in 1974. While an engineer for IBM, he completed a Master’s in Business Administration (finance) in 1976. A 1980 graduate of the Vanderbilt University School of Medicine, he trained in general (OHSU), hepatobiliary (Lahey Clinic), and transplant surgery (Harvard/Deaconess Hospital). He is boarded in surgery and critical care and is a fellow in American College of Surgeons. Dr. Pinson was promoted to Professor of Surgery two years after completing training. He has held a very many important posts over his career including H. William Scott Professor and Chairman of the Department of Surgery, Program Director of the Vanderbilt General Surgery Residency, Chief of Staff of the Vanderbilt Hospitals, and Chief Medical Officer. Dr. Pinson started the first liver transplantation program in the Pacific Northwest, the first liver transplantation program in the V.A. system, and was then recruited to Vanderbilt University to start the liver transplant program and liver surgery division in 1990. While he was the Director of the Vanderbilt Transplant Center for 18 years, 6500 transplants of all types were performed. Since 2009, Dr. Pinson is the Deputy Vice-Chancellor for Health Affairs and, Chief Executive Officer of the Vanderbilt Health System. This integrated system includes 2,000 academic clinical physicians, 4 hospitals with 62,000 admissions/yr, 65,000 operations/yr, 100 outpatient clinics with 2.1 million visits/yr, and a budget of $3.2 billion/yr. The system has grown 35% during his tenure. 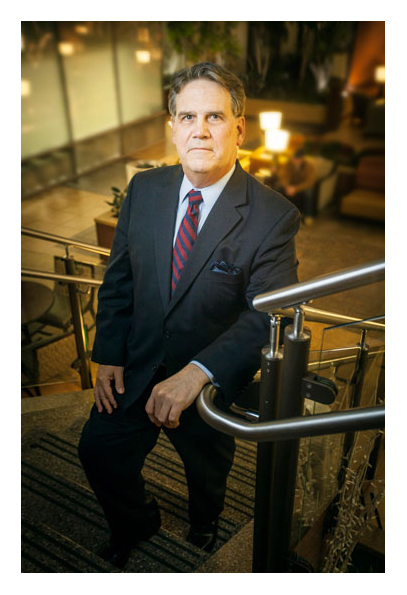 Starting 2011, he helped organize the fastest growing provider network in the nation, becoming President and Chairman of the Board of the Vanderbilt Health Affiliated Network, a 50 hospital affiliated system covering the state of Tennessee. In 2008 Dr Pinson co-founded the Masters in Management in Health Care program and is a Professor in the Graduate School of Business. He has also been an active clinical and laboratory investigator in transplantation surgery leading to 300 publications. He has supervised 35 Research Fellows since 1988, received numerous grants and the Grant Liddle research mentoring award. He has been active in myriad organizations, serving as President and on the boards for many including the editorial board of 4 surgical journals. In 2012 he received the TJ Martell Lifetime Achievement Award and in 2015 the AHPBA Distinguished Service Award. Dr Pinson has enthusiastically served the IHPBA for many years. He first joined our predecessor association, IHBPA, in 1988 and during the 1990s he became key to the success of our Americas regional association, the AHPBA, where he has served as treasurer, chair of the development committee, and president 2003-5. For the IHPBA, he has served on the Scientific Program Committee, Membership Committee, the Warren Foundation Board, the Nominating Committee, the IHPBA Council for 14 years, the Executive Committee for 10 years, Treasurer, and as President from 2010-2012. He chaired the IHPBA World Congress in 2004, in Washington DC. Notable aspects of that congress were parallel sessions for anaesthesiologists and interventional radiologists as well as welcoming speeches by the US Surgeon General and a US Senator with major healthcare expertise. However, as well as the undoubted educational and financial success of that congress, another highlight was a performance by the Band, Soul Incision, with Dr Pinson on drums. Dr Pinson also provided invaluable assistance and support for the successful IHPBA World Congress in Buenos Aires in 2010, and played a pivotal role in negotiating publication contracts for our journal HPB. Dr Pinson’s contribution both to the field of HPB surgery and to the IHPBA cannot be overstated. The award was presented on 22nd April at the General Assembly of the 12th IHPBA World Congress 2016, São Paulo, Brazil. Professor Belghiti was born in Casablanca, Morocco in 1948. He graduated from the University of Medicine, Paris in 1974, qualified as a surgeon in 1980 and became a Professor of Surgery in 1988. He became a First Class surgeon in 1995, an Exceptional Class surgeon in 2008, and was further recognised with the honour of Chevalier de la Légion d’Honneur in 2003 and five years later, Officier de l’Ordre National du Mérite. He was the Head of the HepatoBilioPancreatic Surgery and Liver Transplantation department in Beaujon Hospital, University of Paris, for 20 years, until 2014. In addition Professor Belghiti is the author of more than 70 book chapters and is co-editor of the highly acclaimed specialty reference book, Surgery of the Liver, Biliary Tract and Pancreas edited by Blumgart. 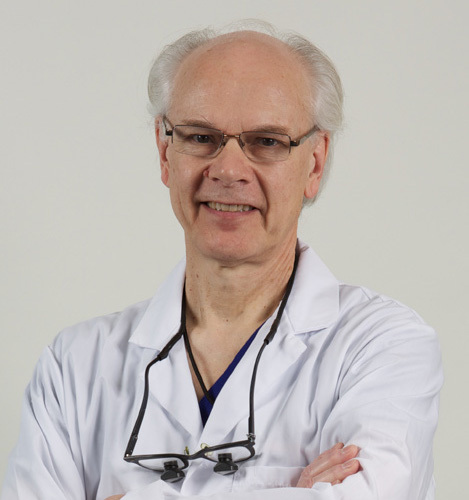 He is also a member of numerous editorial boards; international associations of surgery and, as an honorary member, many national societies including the prestigious American Surgical Association. In 2014 he was nominated by the President of France to the board of the High Authority for Health, where he chairs the evaluation committee of medical devices. He was recently appointed head of the selection committee for innovative devices. Several associations have benefitted from Professor Belghiti’s expertise including as chairman of the scientific committee of the IHPBA, president of E-AHPBA and president of the ILTS (International Liver Transplantation Society). He was responsible for the organisation of the ILTS World Congress in Paris in 2008, as well as the 10th World Congress of the IHPBA in Paris, which attracted over 3000 participants. 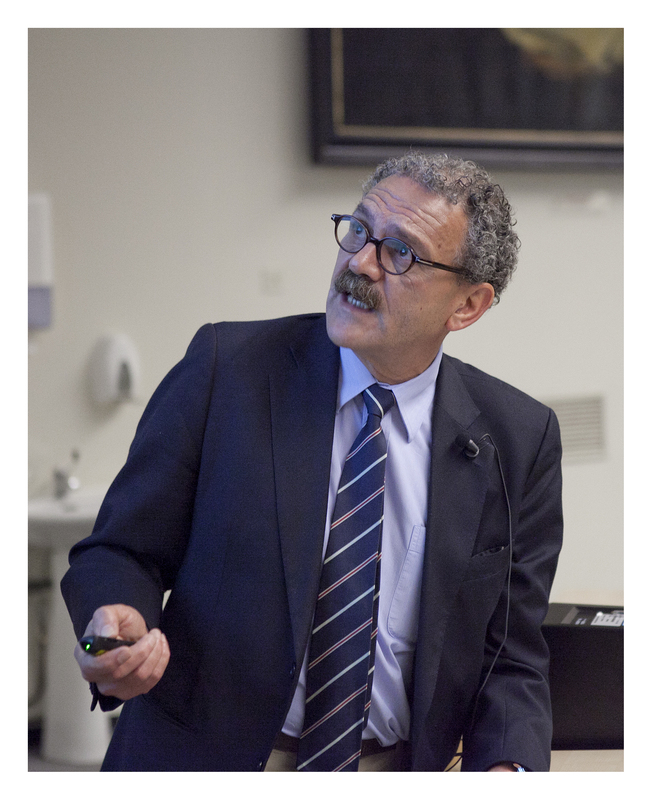 Professor Belghiti’s contributions to the science of HPB surgery have been enormous and include the fields of hepatocellular carcinoma and liver transplantation. He has produced important studies in the surgical techniques of liver resection and HPB surgical oncology. Not only is he one of the most imaginative surgeons involved in liver surgery, he is also one of the most active and rigorous researchers in liver transplantation. In addition to his academic and surgical prowess, Professor Belghiti is an exceptionally skilled, approachable and charismatic teacher. Professor Belghiti has undoubtedly made an outstanding contribution not only to HPB surgery, but also to the IHPBA. The award was presented at the E-AHPBA Congress 2015, Manchester, UK, on Wednesday 22nd April 2015 at the President's Dinner, held in the historic Manchester Town Hall. Professor Nimura was born in Nagoya, Japan in 1943 and graduated from Nagoya University School of Medicine in 1969. He started to study HPB Surgery in Nagoya University Hospital in 1974 and was promoted to Associate Professor in 1980 and Professor and Chairman of the First Department of Surgery, Nagoya University School of Medicine in 1991. 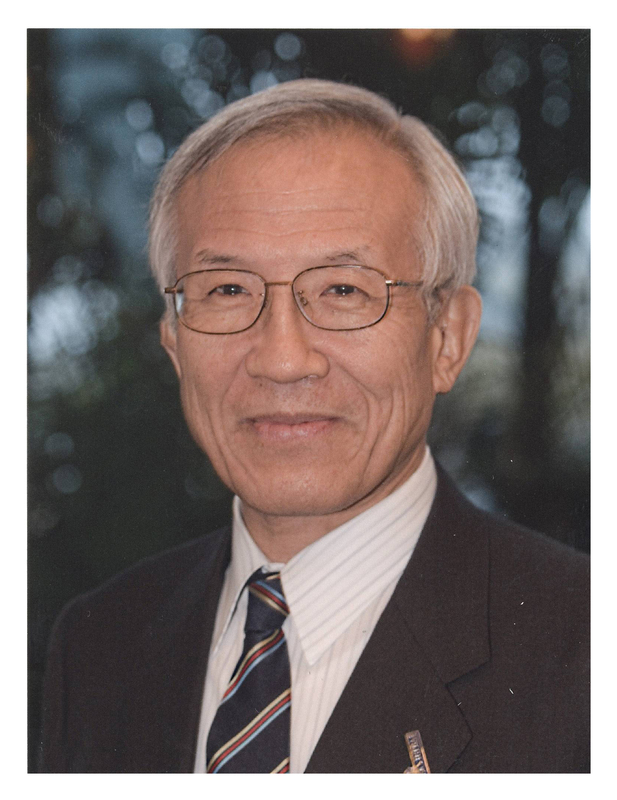 He retired from Nagoya University in 2007 and moved to Aichi Cancer Center as the President and has been President Emeritus since 2012. Professor Nimura has contributed toward the progress of HPB Surgery, most especially aggressive surgery for HPB malignancies. He has contributed important work relating to: Icteric liver regeneration, Liver regeneration after portal vein occlusion, Biliary secretion and hepatic microcirculation, Intrahepatic subsegmental biliary anatomy, Vascular and biliary anatomy at the hepatic hilus, Percutaneous transhepatic cholangioscopy for cholangiocarcinoma and hepatolithiasis, Preoperative biliary drainage with selective cholangiography, Preoperative portal vein embolization, Hepatic segmentectomy with caudate lobectomy and bile duct resection, Combined liver and vascular resection and reconstruction. As a result of his work, Nagoya University Hospital became the highest volume center in the world for hilar cholangiocarcinoma. Professor Nimura has also made a great effort and remarkable contribution to the scientific development of HPB Surgery. He became a member of International Biliary Association (IBA) in 1980 and joined the IHPBA in 1994, where he has held numerous positions: as a member on the Scientific and later the Membership Committees, Treasurer, President Elect, President from 2008 to 2010 and as Past-President until 2012. He is an honourary member of a number of associations including the American, French, European and Japanese Surgical Associations, and has been the honourary President of the Japan Biliary Association since 2009. He sits on various editorial boards including that of HPB and the British Journal of Surgery, and his achievements have been recognised with the award of The Best Video Prize at Bologna 2nd World Congress of IHPBA in 1996, the Prize of Princess Takamatsu Cancer Research Fund in 1997 and in 2005, the Chunichi Cultural Prize. Professor Nimura’s university service includes two years as Director, Nagoya University Hospital (2000-2002), External member of Nagoya University Management Conference since 2009 and as Director and Master, Nagoya University Judo Club since 1985. There is no doubt that Professor Nimura has made an outstanding contribution to HPB surgery, in particular surgery for hilar cholangiocarcinoma, but also to IHPBA.